Bypass Geoblocking, Stay Hidden and Enjoy Kodi’s Full Entertainment Power! Why is our Kodi VPN rated 5 stars? Full 30-day money-back guarantee + support! 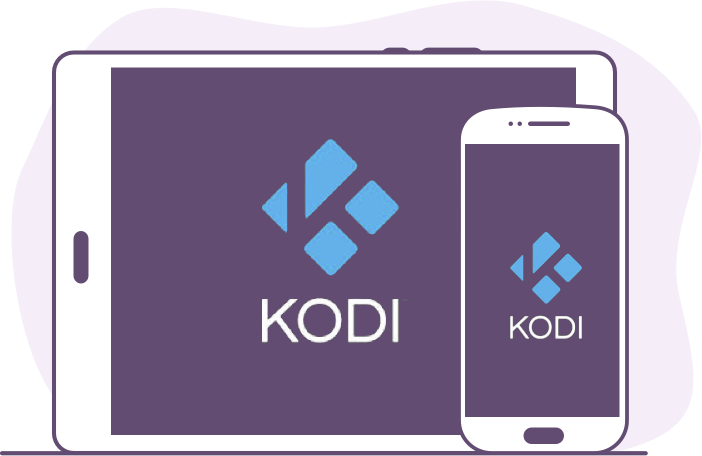 Our best-selling VPN for Kodi means you can access geo-restricted addons such as BBC iplayer, ESPN, HBO and more, bypass ISP’s speed throttling and relax with your favourite shows in crystal-clear HD, all with complete privacy. Did you know your Kodi experience is severely limited depending on your location? Due to shady geoblocking rules, the number of add-ons (and therefore shows, movies, games and livestreams) are restricted to a small percentage of Kodi’s entire selection. You’re being blocked from a ton of potential entertainment for no reason at all. 1. ISPs regulate your internet speed, known as “Speed throttling”. It’s reported that internet speeds plummet when connected to streaming services (they cost ISPs expensive data so they don’t want everyone streaming at once). 2. Your activity is intercepted by ad tracking software made to pop-up, flash and distract their way into your browsing experience, often times making it impossible to watch and enjoy your TV. 3. When you’re unencrypted your IP address is visible to thousands of fellow streamers across the web. Meaning you could be handing your personal details such as location, address, identity and financial safety over to malicious cybercriminals. 4. Your activity is logged and interpreted by your ISP to make sure you aren’t doing anything they disagree with. If your account flags up, the government has the right to seize your online activity stretching back YEARS, to decide whether you deserve a knock at your door. 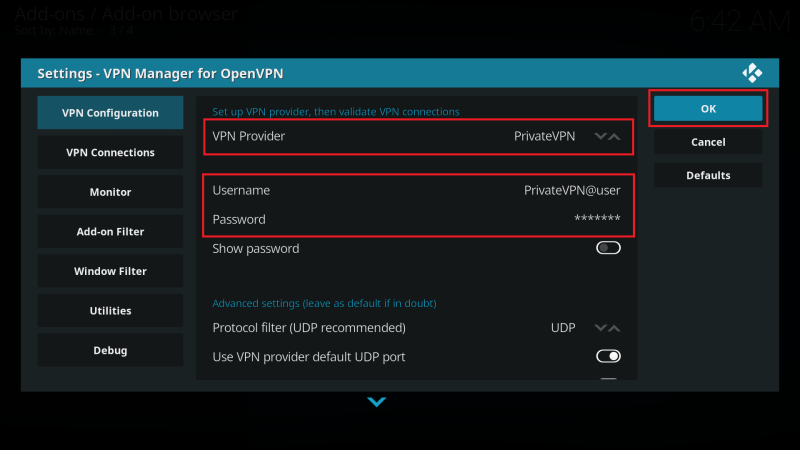 With PrivateVPN’s custom-built VPN for Kodi you can easily bypass content and add-on geoblocking in a matter of seconds, stream the latest shows and movies in HD quality and never worry about annoying buffering or leaked data to your ISP or hackers. Access Kodi from these national servers to enjoy region-specific shows, movies and live streams such as BBC, ESPN, HBO, Sportsnet, CBS & more. 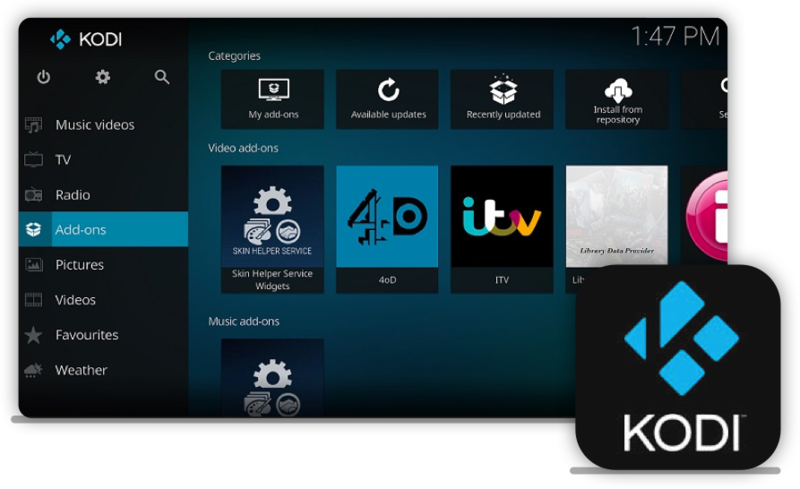 Simply select an IP address in the country you wish to sign into, connect, and log into your Kodi account as normal. You can then enjoy TV, movies, games and hundreds more add-ons exclusive to your country from home or overseas. Now you’re ready to connect to your chosen streaming region and enjoy streaming your favourite shows in high-definition! We’ve NEVER had a single data breach! After successfully encrypting over 15,000 Terabytes of data and protecting our user’s private information, it’s no wonder our customers stick with PrivateVPN for years, even after trying other providers! "I was recommended Privatevpn, by a friend, my expectations where low. I tried it for a few days and was amazed at the quality of service, that I signed up for a 3 year plan. I thanked my friend for his knowledge about excellent vpn companies. Having used it for a few weeks I am extremely happy. PrivateVPN is tops for value and performance. "PrivateVPN has worked well every time for me. It allowed me to bypass a blocked site. Other VPN’s failed ! My experience using PrivateVPN has been 100%. Other VPNs failed to unblock sites or failed to keep their servers online and failed without a warning or user screen display. 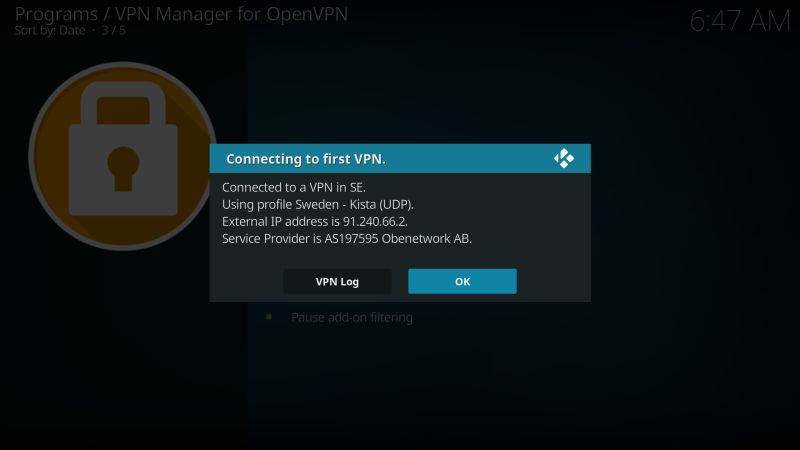 If the VPN server goes Offline for any reason, a user needs to know about it !" It’s really cheap, fast, and has servers in a lot of different countries. It’s support can help with everything, and they answer under an unbelieve amount of time: 1-10 minutes.. always when I texted the support they answered in ONE MINUTE, but of course if they have a lot of clients at once it will take some time, a few minutes. I love it. + Will ISPs and potential hackers see my IP address? Without the protection of a VPN, they certainly would. When you connect to Kodi and download media, your ISP will log your activity since you are unencrypted. PLUS, entire “torrent swarms” (thousands of strangers globally) will see your IP address too, opening you up to blackmail and fraud by hacking. 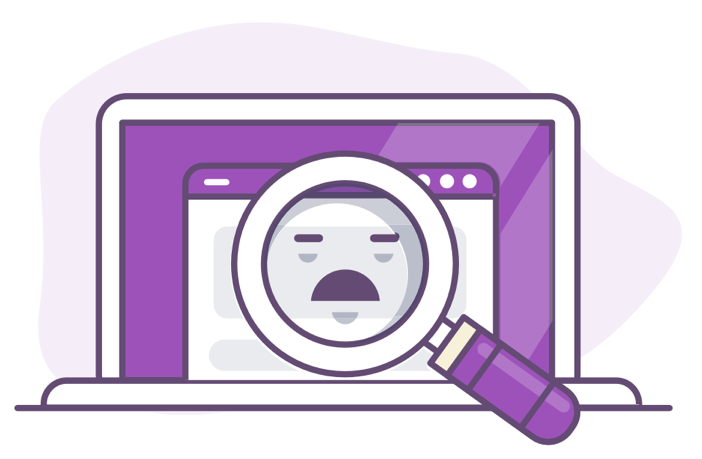 With PrivateVPN your IP address, personal details, location and all other internet activity are hidden with military-grade encryption so you remain safe and anonymous. + Will downtime interrupt my streaming? We’ve had a record-breaking 99.98% uptime since we launched in 2008, that’s why our customers love PrivateVPN for uninterrupted entertainment! + Will speed cuts mean low-quality streaming or buffering? Unlike many VPN services, we purchase our internet capacity directly from IP transit providers. This coupled with our High-quality-network (HQN) servers mean you won’t experience major speed cuts. In fact, many ISPs use Speed Throttling to slow your connection depending on your activities. Using a VPN bypasses this throttling since ISPs can’t see your activities, so some users actually experience increased internet speeds and better streaming. 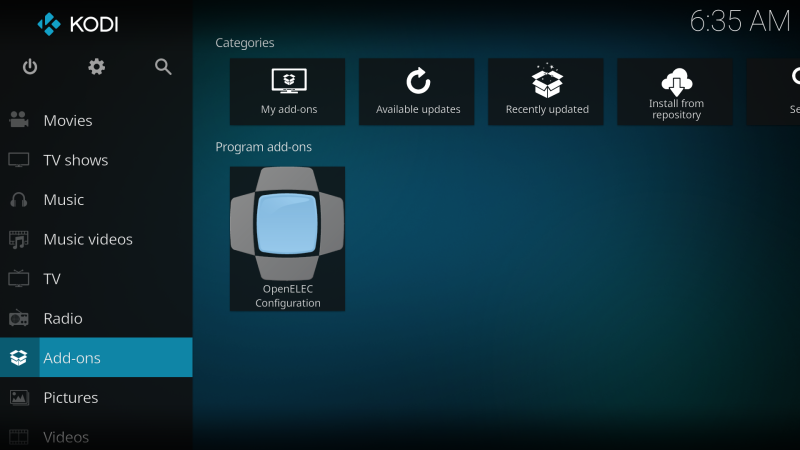 + Can I watch Kodi from any device? + Will setting up my VPN be difficult? No, it’s very straightforward! Simply download your specific PrivateVPN software for your device as mentioned above immediately after joining, connect to a server in your region of choice (US has the biggest selection of add-ons), and load up Kodi as normal. You may need to clear the browser cache on your device before loading Kodi. + What if I change my mind and want a refund? You have a FULL 30-day money-back guarantee! If our service doesn’t give you access to every single title on Netflix US, live up to our high-speed standards and geo-unlocking claims, and let you relax with full peace of mind as you enjoy your nights packed with entertainment, we’ll refund you every last penny! You don’t have to decide for final right now, but you do need to take action to claim your 65% discount today. Simply try PrivateVPN for 30 days and decide if you want to keep your access to the full Netflix experience at the end. There’s absolutely ZERO RISK. Copyright © Privat Kommunikation AB. PrivateVPN is a product. Not a PrivateVPN user? Sign up now!